There are large numbers of mobile phone manufacturing companies across the globe that launches variety of handsets keeping in mind the needs and requirements of the users. ZTE is one such telecommunications equipment and systems company based in China. In terms of units sold, in the year 2012, ZTE was judged as 4th largest mobile manufacturer in the world and in the year 2011, it stood at the fifth position in the world in terms of revenues. A group of state owned enterprises who were associated with the Ministry of Aerospace in China founded the company in the year 1985. Various different types of mobiles are launched by ZTE that comes along with array of specifications to offer good services and in the following part of the article we will discuss about the top 5 best phones that have been introduced by the company. 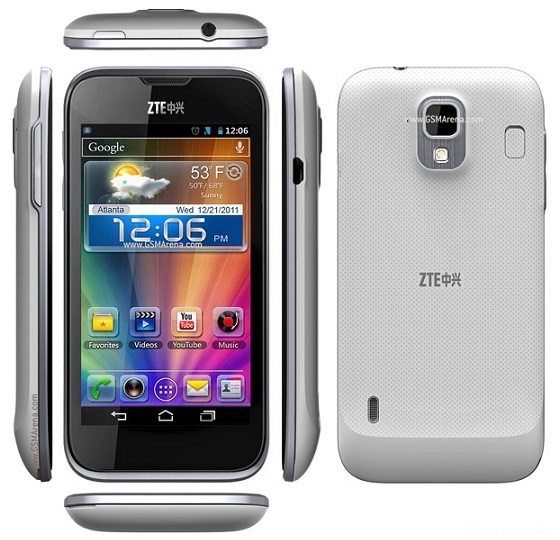 One of the most popular phone by the company is ZTE Anthem 4G that comes with impressive list of specification. The phone is powered by dual core Qualcomm Snapdragon processor which is clocked at 1.2 GHz and it runs on Android 2.3 Gingerbread OS. Physically the phone measures 130.1 X 68.1 X 13.7 mm in size with weight of 189.9 grams and comes along with TFT capacitive touch screen that measures 4.3 inches. Accelerometer sensor and proximity sensor are also present for the convenience of the users. In terms of storage the phone features 512MB RAM, 4 GB internal memory and expandable memory up to 32GB. The 5 MP snapper present in the handset features LED Flash and AF so that clear images can be captured even when there is low light. VGA front camera for video calling is also present for the users. 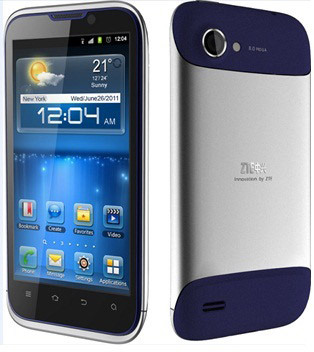 ZTE Anthem 4G is fueled by 1780 mAh of battery that provides talk time of around 4 hours and standby time of 244 hours. Music lovers can keep themselves entertained with the presence of multi music player that supports multiple audio formats including MP3, eAAC+ and WAV . Additional features of the phone include 3.5mm audio jack, WLAN, Bluetooth 2.1 with A2DP+EDR, microUSb 2.0, HTML 5 browser, GPS with AGPS, predictive text input, multi format video player, HDMI port and others. ZTE Warp Sequent is another mobile phone by the company that finds a place for itself in the list of Best 5 due to its list of specifications. The performance on the device is quite smooth, thanks to the latest Android ICS OS and 1.4 GHz of processor that comes along with Adreno 205GPU. The pictures, videos and other content appears bright and clear on 4.2 inches of TTFT capacitive touch screen of the phone as it is capable of supporting 256K colors ad 540 X 960 pixels resolution. The multi touch feature further facilitates smooth navigation for the user’s convenience. Storage space will not be an issue with this phone as its microSD card slot can be used to expand the external memory by up to 32GB. Connectivity in the phone is provided through basic options of WiFi, microUSB 2.0, Bluetooth 4.0 with A2DP and HTML 5 Browser. For capturing decent quality images, a 5 MP camera with touch focus, LED Flash and AF is present. Along with images, the camera can also record 720p videos. Additional features that comes packed with the device include 4GB internal memory, 768MB RAM, push email facility, organizer, 1650 mAh battery, access to YouTube and Google, photo viewer /editor, multi format video player, music player and others. Another name in the list of top 5 phone by ZTE is the name of ZTE Grand X LTE T82 which is also known as ZTE Easy Touch 4G for Telstra. Physical measurements of the phone stand at 130.9 X 65 X 11.2mm in size with weight of around 151grams. The 4.3 inches of capacitive touch screen in the device supports 16M colors along with 540 X 960 pixels. The display also features multi touch, accelerometer sensor, proximity sensor, compass and gyro sensor. Grand X LTE T82 comes packed with 4GB of internal memory, 1 GB RAM and supports external memory expansion by up to 32GB. The dual core 1.5GHz of Qualcomm Snapdragon processor powers the phone and it runs on Android 4.0 Ice Cream Sandwich OS. On multimedia front, the handset comes along with impressive specifications including 8 MP camera with AF and LED Flash, 1080p video recording, 1.3 MP front facing camera, FM Radio, multi format music player, video player and access to YouTube/Gmail/Google Talk. The Li-ion 1900 mAh of battery supports talk time of around 6 hours and 30 minutes and standby time of 300 hours. Additional specifications include 3.5mm jack, Dolby mobile sound enhancement, GPRS, EDGE, WiFi, microUSb 2.0, Bluetooth 4.0 with A2DP, GPS with AGPS, voice memo, document viewer and others. 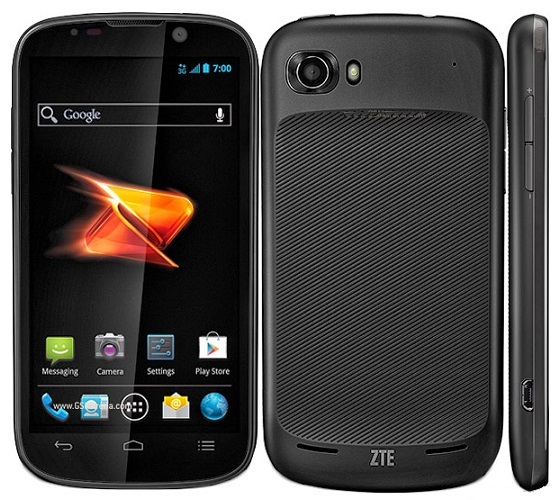 ZTE Era is another phone by the company that comes in the family of best rated devices. The model is powered by 1.3 GHz of Quad Core Nvidia Tegra 3 processor, runs on Android 4.0 ICs OS and features ULP GeForce GPU along with 1GB RAM. With thickness of 7.8mm the phone is a sleek device that comes along with 4.3 inches of TFT capacitive touch screen that offers pixel density of 256ppi. The 8 MP of camera present in the phone is capable of capturing images with resolution of up to 3264 X 2448 pixels along with 1080p videos at 30fps. The Bluetooth 3.0 with A2DP+EDR feature provides connectivity with other compatible devices so as to facilitate data sharing between them. Other connectivity options include GPRS, EDGE, WiFi, microUSB 2.0 and HTML5/Adobe Flash Player Browser. Internal memory of the handset is 8GB whereas in time of need the external memory can be expanded up to 32GB through microSD card slot. The music lovers can enjoy their favorite tracks even on the go with the presence of FM Radio with RDS and multi format music player. Additional specifications include Dolby mobile sound enhancement, GPS with AGPS, 3.5mm jack, TV out, SNS integration, document viewer, video player, Li-ion battery and others. The phone will be available in color options of Black. 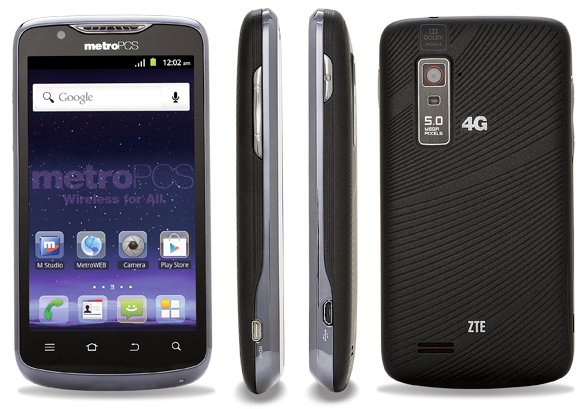 Android 4.0 ICS ZTE PF200 is another top rated phone launched by the company that comes along with array of specifications to take care of all your communication needs. 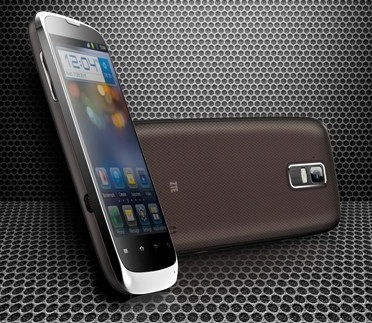 The phone is powered by dual core processor that is clocked at 1.2 GHz and sports 4.3 inches of capacitive touch screen. The display offers clear and bright content as it supports 16M colors along with 540 X 960 pixels resolution. The GPRS and EDGE feature of phone enables internet connection whereas its Bluetooth 2.1 with A2DP enables connectivity with compatible devices. For capturing your special moments, the phone features 8MP camera that comes along with LED flash, Geo tagging and AF. Along with images, the rear camera is also capable of video calling. For video calling, a front facing 2MP camera is also present in the phone. The music player of the phone supports multiple audio formats including MP3, AC3, WAV and eAAC+ so that users can enjoy their favorite tracks without changing the format. Additional specifications that comes loaded with ZTE PF200 include 3.5mm jack, WiFi 802.11 b/g, DLNA, WiFi hotspot, NFC, Java via Java MIDP emulator, HTML/Adobe Flash Player, Push email facility, accelerometer sensor, compass, proximity sensor, organizer, predictive text input, access to Google Search/Picasa/Google Talk, Li-ion battery and others.